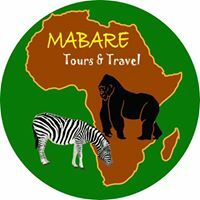 Mabare Tours & Travel is a Ugandan Tour Operator that organizes Gorilla Trekking tours and Wildlife Tours in Uganda and the whole of East Africa. We Value our clients’ interests and therefore provide them with their desired safari experience in Uganda and in East Africa. Our Committed Staff has experience in Excellent services to group clients and In individual travelers as well as promoting Uganda the Pear of Africa as the world’s best tourist destination. Mabare Tours & Travel offers City Tours, Wildlife tours, Adventure Tours, Air Ticketing, Hotel Reservations, Car Reservations, Educational Tours, Cultural Tours, Special Interest Journeys, Airport Pick Up And Drop Ups, Boat Trips, Gorilla Tracking, and Chimpanzee Trekking. Our Tours are in all Major Uganda National Parks and Game Reserves such as Murchison National Park, Queen Elizabeth National Park, Bwindi Impenetrable Forest National Park also known as the East Africa’s Home of Mountain Gorillas, Mountain Elgon National Park, Kidepo Valley National Park, Mghinga Gorilla Park and other safari Destinations in East Africa of your Choice . We have a good working relationship with all the hotels and Lodges in all tourist destinations in East Africa and this enables us to reserve for our clients best Accommodation. We have experience backed by Passion to effectively organize private tours, group tours, business tours, family trips, leisure travel, and our team is dedicated to serving you and ensuring your adventure satisfaction. We make it to the destination with our reliable Tourist Cars like 4WD Toyota Land Cruisers, 4×4 Super Custom, 4×4 mini Buses that are customized and Very comfortable for clients.